Poem by Berton Braley, circa 1918. 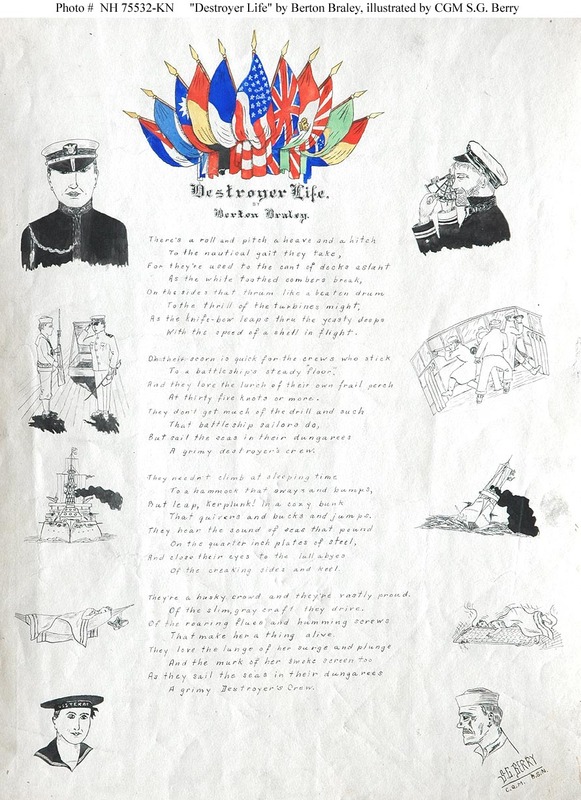 Illustrated by Chief Quartermaster S.G. Berry, USN, with the flags of the World War I western allies and sketches of contrasting life on board destroyers (at right) with that on board battleships. Courtesy of the Naval Historical Foundation, Washington, D.C., 1972.